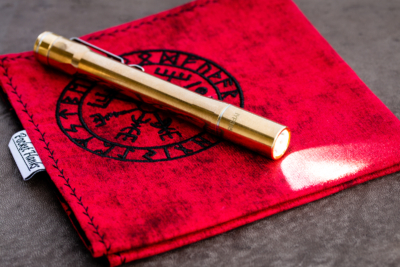 Brass is the material of choice when it comes to durable everyday carry gear, elegant writing instruments, and beautiful desk accessories. 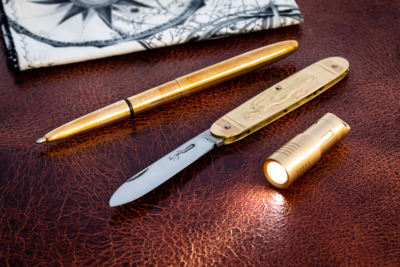 The warmth of brass adds a vintage touch to everything from a pen to a knife handle. As brass ages, it develops a unique and beautiful patina. This blog portrays my passion about all things brass. I hope you will follow me on my blogging journey. Make sure you subscribe to my newsletter to get notified when a new blog post is up. 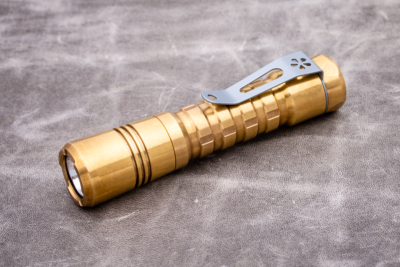 The ReyLight Pineapple is one of the most popular flashlights among EDC enthusiasts. It is designed to work with either an AA cell or a 14500 battery. The design of MecArmy's CMP2 brass compass is inspired by vintage mechanical instruments. 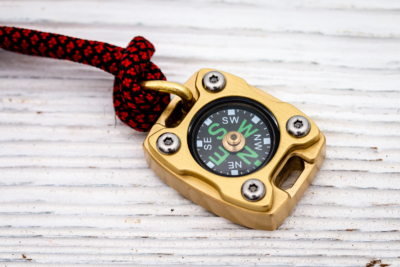 The compass features glow-in-the-dark markings. 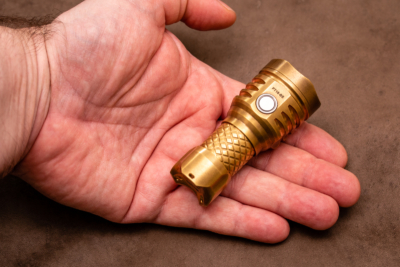 The MecArmy PT16-BS is a compact three LED flashlight with a sturdy brass body. It produces a remarkable 1,200 lumens from a single 16340 battery. 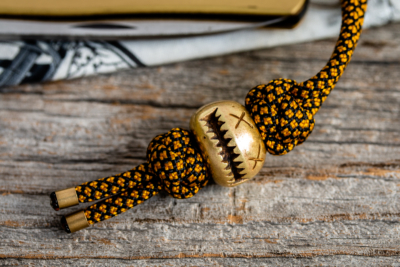 Audacious Concept's smiley bead is made from solid brass and looks like a Halloween pumpkin. The 6 millimeter hole fits two strands of 550 paracord. 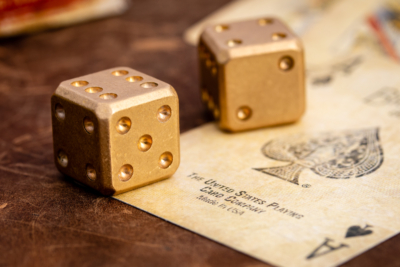 Flytanium's set of two dice is not comparable to those cheap Chinese brass dice you can find on eBay. The Flytanium dice are larger and heavier. 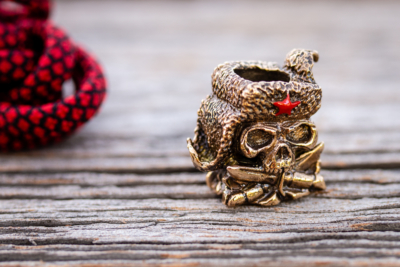 Ukranian artist Christina Sivenko's beads are small masterpieces in brass. This one depicts a skull wearing a Russian style fur cap with ear flaps. Powered by two AAA batteries, the Lumintop IYP365 Brass is a pen-size flashlight with a maximum output of 200 lumens. This three-item kit is more about utility than preparedness. Weighing in at only 84 grams, it contains the basics you need in your EDC kit. 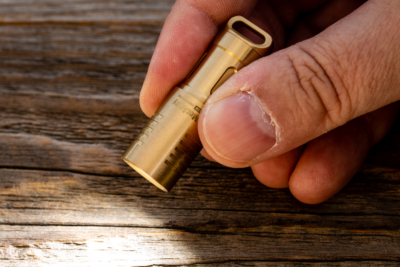 The MecArmy X3S Brass is a USB rechargeable flashlight in a compact design. The light weight and small size make it a good option for a keychain light.